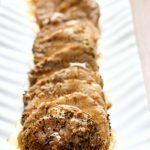 Lately, I’ve been noticing ridiculously inexpensive pork roasts on sale at the store. Like $1.59 per pound. They are pork sirloin tip roasts and are very lean. I’ve found them at Costco and and Smith’s. Anyhow, I bought a package that had about 6 pounds in it and divided it up into 3 separate freezer bags. That way it’s ready to go in the portion that I need it. I wanted to try the good old standby of bbq shredded pork in the slow cooker with this particular cut of meat to see if it would work. What I found out is that it does work. This is how I did it! 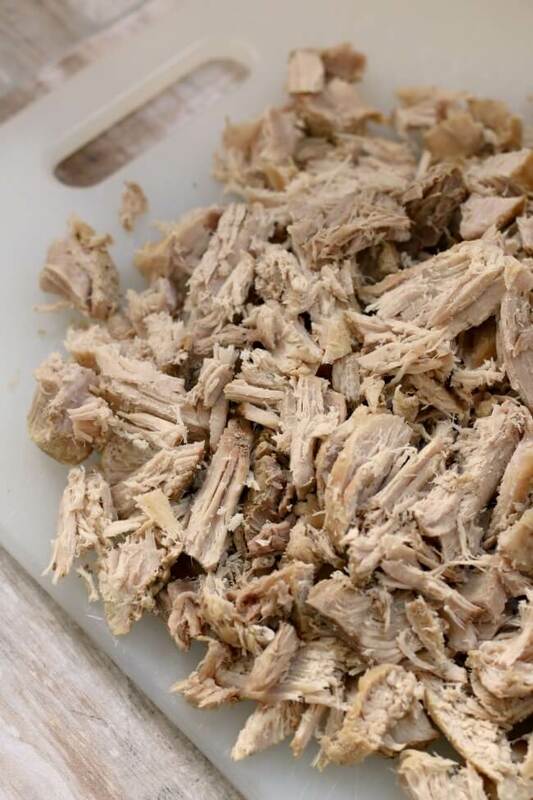 Start by cutting a 2 lb roast into 4 or 5 equal pieces and placing them in a slow cooker that has been filled with some chicken broth and onions. I used a couple of cups of broth but next time I may use more. The liquid is key in this recipe to keeping the very lean piece of meat moist. I seasoned the meat with liquid smoke, salt and pepper and garlic powder. Nothing too crazy. After many hours the meat will be tender and you’ll be able to shred it. I like to reserve the juices in the crockpot and pour a bit over the top of the meat to keep it from drying out. I also like to add BBQ sauce to the meat to give it some moisture and some flavor. I have really liked the Sweet Baby Ray’s brand lately. But use whatever you prefer or better yet make your own bbq sauce from scratch. We served our BBQ pulled pork on PIZZA and it was absolutely amazing. I just used the little pitas as crusts, swirled some sauce on, topped with mozzarella and the pork. Simply amazing and took me about 5 minutes to bake. Another idea is to serve this low fat pork over salad. 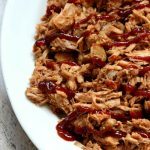 BBQ pork salads are so good and a perfect summer meal. 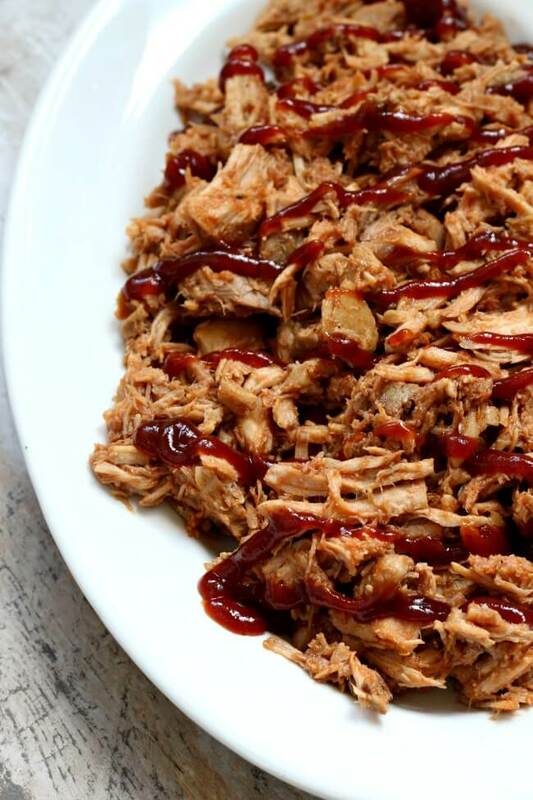 Of course, you can always make a good old pulled pork sandwich too. However you serve, it I hope you enjoy it as much as we did! 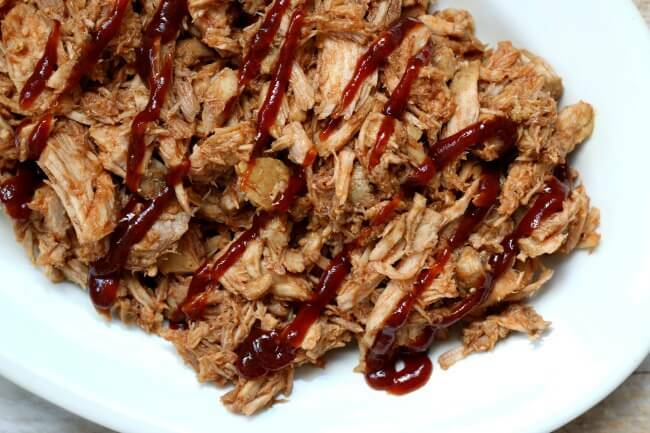 A low-fat recipe for bbq pulled pork. Perfect for sandwiches, salads or pizza! Cut the pork into 4 or 5 equal pieces. Place in the bottom of the slow cooker. Pour in the chicken broth. It should mostly cover the meat. Place the onions around the meat. Drizzle liquid smoke over the meat and then sprinkle with kosher salt, pepper and garlic powder. Cover and cook on LOW for 8-10 hours, or until meat is very tender. If you’re home and able, turn the meat over halfway through. Remove the meat and place on a cutting board. Let it rest for 10 minutes. 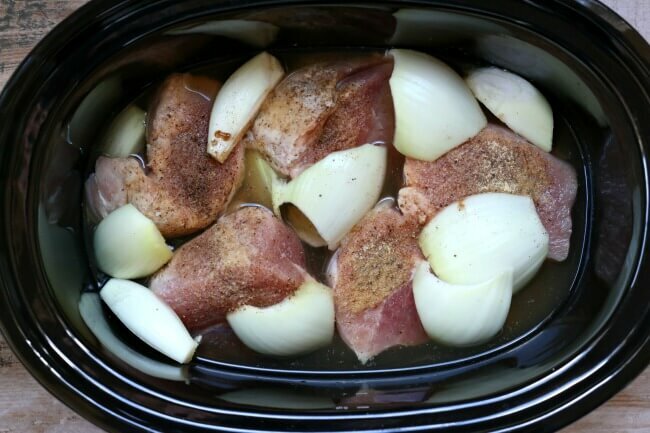 Pour the juices and onion out of the slow cooker but reserve about 1 cup of the juices. 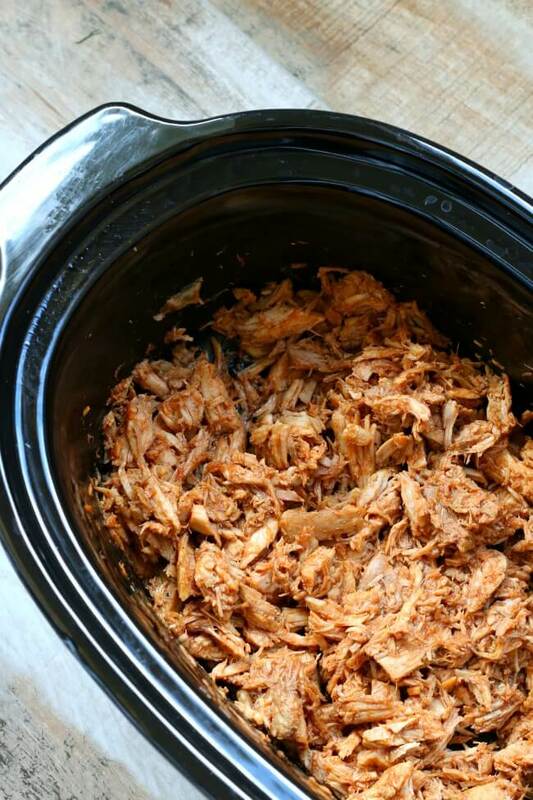 Shred the meat and then put it back into the slow cooker. Pour in reserved juices so that the meat is moist. Stir in desired amount of BBQ sauce. Serve meat on top of buns, on a salad or on top of pizza. 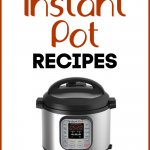 Serve this recipe with crockpot cornbread and crockpot cheesy corn and peppers. And you can always make your own hamburger buns (in 40 minutes) if you’re serving the shredded pork as sandwiches. 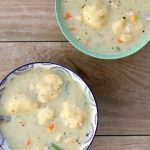 Where is the nutrition chart for this recipe? 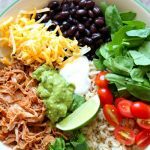 We love crock pot meals like this in the summer — no heating up the kitchen, and dinner is quick, simple and delicious! 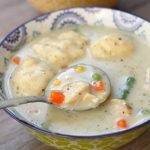 I’m a powerlifter, also a college student, I bought a slow cooker and follow your recipes, it saved lots of time! 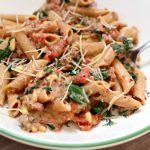 I can easily prepare my protein and fat, mix it with carbs, it’s so easy ! So delicious ! I will my chalky chicken breast anymore! Thanks a lot ! Thank you – sounds nice and easy too.